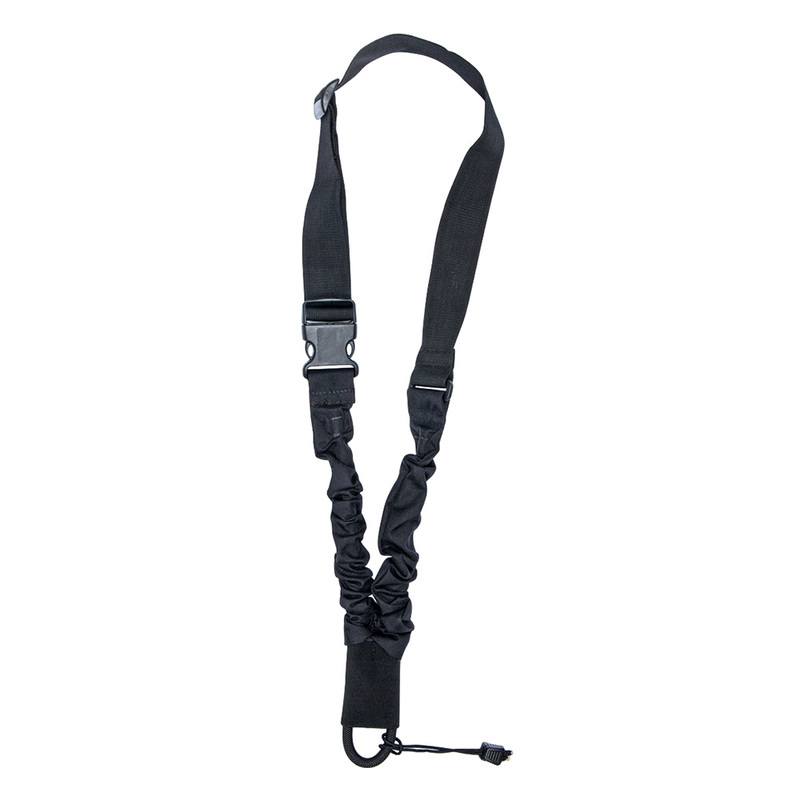 This original single point sling is made especially for the EVO 3 A1, and is supplied directly from CZ. It features an adjustable plastic end-cover and a bungee cord protected by a Cordura cover. The sling is attached to the gun with paracord to avoid rattling.